Want a Mustang? 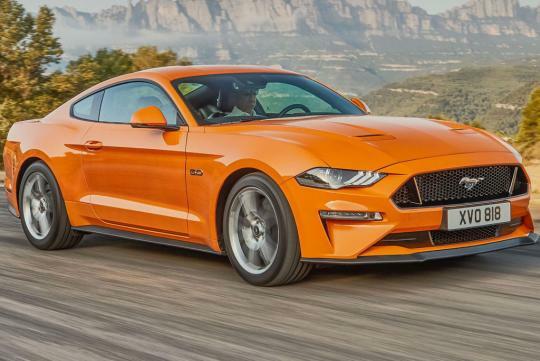 Wait, because the much-upgraded 2018 ‘Stang is set to go on sale by around next year – and we reckon it’s going to be worth waiting for. Why? Because it’s got more power. 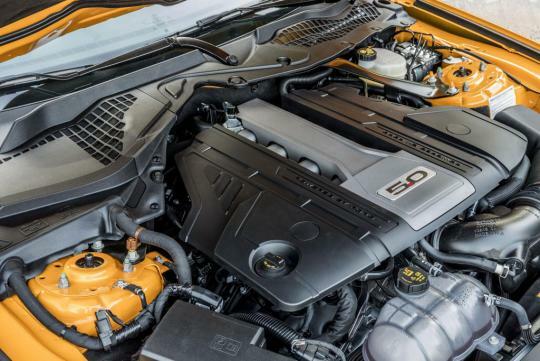 Ford’s European arm “anticipates” 444bhp or thereabouts (up from 410) from the revised 5.0-litre N/A V8, which gets a clever new fuel injection system for a higher rev-limit and more low-end torque. 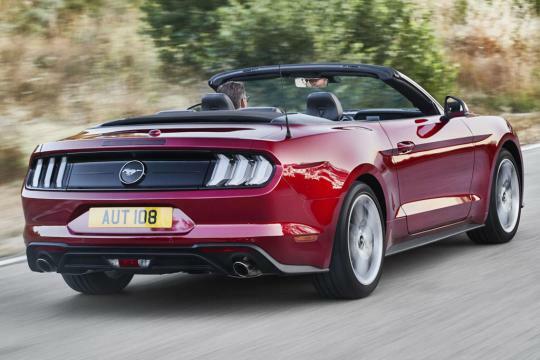 Curiously the 2.3-litre four-cylinder Mustang has less power than it did pre-facelift – just 286bhp, down from 313. Ford tells us this is because the EcoBoost ‘Stang has “Gas Particulate Filter (GPF) technology”, which helps with emissions but increases back pressure in the exhaust, and reduces “the steady state horsepower of the engine”. Thanks to more torque and a “transient overboost function”, Ford says the new EcoBoost ‘Stang is no slower than the old car, despite the power deficit. In fact, Ford says it’s even quicker if you go for the new ten-speed automatic transmission (which is also available on the V8). No performance data has been released for either engine. 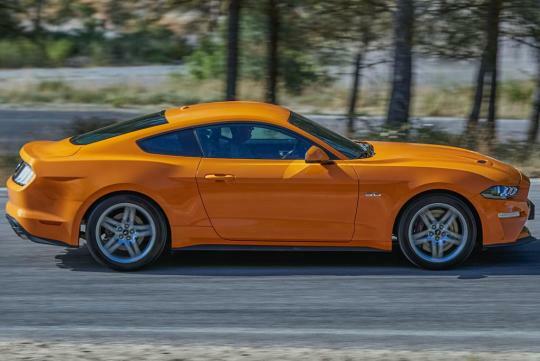 More power isn’t the only reason you should wait for the new ‘Stang. There’s the optional “MagneRide” adaptive dampers (which complements recalibrated shock absorbers, stiffened rear suspension with a cross-axis joint and thicker anti-roll bars), the active exhaust with “Good Neighbour” mode for socially-acceptable early-morning getaways and the special “Drag Strip” mode. The new looks are backed-up by a higher-quality interior, with a 12in LCD in place of the dials, SYNC3 infotainment (with Apple CarPlay/Android Auto) and higher quality materials. 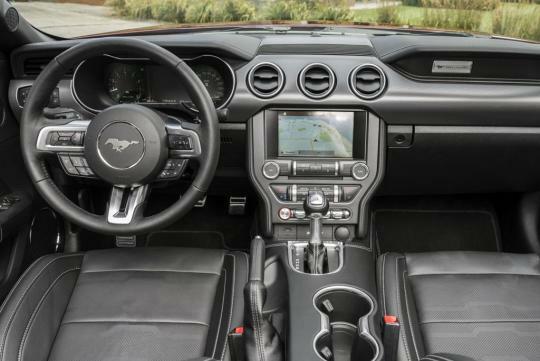 Pre-collision and pedestrian detection systems are part of a new suit of driver assistance tech’ available on the new ‘Stang, which also gets adaptive cruise and lane-keeping aids.